The history books about Sicily have little to say about the time of the Spanish rule. I find this strange, because the Spanish changed Sicily more than any other conqueror. The way they wanted this island is the way it still is: the Sicilians just cannot seem to shake them off. Some history books do tell us they brought tomatoes, which the Sicilians planted around Etna and with everything. They brought cocoa beans which the Sicilians of Modica still make into bars of raw chocolate using the Aztec recipe the Spanish conquistadores taught them. They brought the potato, and made Sicilians such an island of chip-lovers that they even invented the chip pizza. They created the Sicilian baroque style of architecture which is unique to this island, is found all over it, and is so spectacularly beautiful it has made six baroque Sicilian towns into a UNESCO world heritage site. They filled the island with prickly pear cactuses which took over whole mountains, and still sit among the African date palms giving the island its characteristic look. Above all, though, they changed the hearts and minds of the Sicilians. They brought the Inquisition. The Inquisition was the period of European history when Christians did what Muslims in some places appear to be doing right now. They took their religion to such an extreme that people who did not follow it must die. People who wanted to follow a milder version must die. Prisons and inspectors were created specifically to put people on trial for being the wrong kind of Catholic. An Inquisition trial consisted of questions on the finer points of theology, and the wrong answer meant death. Often, the right answer to an Inquisitor who thought you didn’t mean it, meant death. The sociopaths and psychopaths were in charge. This dominated Europe for a couple of hundred years, and set science back almost a milennium. No nation imposed the Inquisition more brutally than Spain. Until the Spanish Inquisition, Sicily was the most cosmopolitan place in the known world. Greek-speaking Eastern Orthodox communities had lived here since ancient times, Moors from North Africa worshipped in mosques, Christian Normans and Jews had their own schools, churches and synagogues. Some rural pagans quietly kept on honouring the gods of nature. Sicily had had its share of religious tensions, but somehow everyone held onto their own religion, language and culture and bumped alongside each other reasonably peacefully. When the Spanish initiated their Inquisition, they had just come out of an 800-year period of being part of several North African empires. The Spanish were not only ruled by Muslims from abroad, many were made into slaves. They Moors were religious fanatics, they filled the country with Mosques, and they placed tough restrictions on Christian worship. Spaniards who converted to Islam were given favoured positions and a much better life. It’s true the Moors modernised the country beyond recognition. They built irrigation systems throughout the country, roads, cities, stunningly beautiful buildings, libraries and schools and centres of learning. Yet they were still conquerors. They filled this Christian country with mosques. Their buildings looked foreign and they were for worshipping a foreign god. Their language was strange. Their clothes were different. They married more than one wife and they did everything differently. They were not Spanish and they did not let the Spanish feel Spanish. Watch this extraordinary animated map of the spread of world religions, to see how rapidly Islam spread as soon as it was born, and how much of the world it dominated. It was spread through conquest and forced conversion. At the time of the Inquisition in Europe, Islam completely dominated the world, in numbers of followers and in the military power that was behind it. The Spanish felt their entire identity under threat of disappearance. Even their God might die. The Spanish eventually beat the Moors out of Spain in the Reconquista. You can palpably feel how stronly they felt they had to fight to save their religion when you walk around Seville. The words “Reyes Catholicos” – Catholic Kings – are carved above every official doorway, on the wall of every public building, and glazed onto decorative pots and ceramic wall tiles. They are cast in metal gates. It feels as if they wanted to brand every single object in Spain as a Christian object. Then the New World was a perfect discovery – a continent full of gold to finance wars to keep the Muslims out of Europe, and people to convert to Christiany, by hook or by crook. As soon as Spain gets to work there, Christianity begins to rise against Islam. The mission to convert Latin America was a mission to save Christianity and anyone who worked against it was an enemy of Christ. The library in Seville where the maps and navigation charts were stored, Spain’s priceless classified information, has a stern warning above the door: Anyone who steals a document from this library will be excommunicated. So what was the Spanish objective in Sicily? It was the same as it had been in the Reconquista in Spain. They wanted to make their religion and their culture the strongest one, ideally the only one, in the world. They needed money, and they needed converts. They wanted the world to become Christian. Everyone must be a Catholic. Everyone must speak the same, Christian, Latin-derived language. Everyone must live like a Catholic in every way. Any trace of foreign thinking must be eradicated. They chose Palazzo Chiaramonte Steri as their Inquisition HQ in Palermo. This building had once been a very large pottery workshop, built by Moors from North Africa to make their brilliantly coloured majolica pottery you stil see all over Sicily. It had vast warehouses, underground so they would be nice and cool – used to store the public granary. The Sicilians call these “camere dello Scirocco” or “Rooms of the Scirocco wind” as there is a public misconception that people sneaked down into them to cool off when the suffocatingly hot Scirocco blew up from North Africa. This was never the case, though. They were essentially refrigeration units. Palazzo Steri was used for public administration at various times in its history. When Palazzo Steri became the seat of the Inquisition, Jews, Muslims, Orthodox Greeks, and many, many Catholics were thrown in there. Many would spend months or even years imprisoned before even facing trial. It all depended how much money they had. Despite being ostensibly a moral crusade, there was plenty of space for corruption. The rich often ended up in there for no reason other than owning a house one of the Inquisitors rather fancied living in. They could often get our with a massive payment and a nominal punishment such as parading through the town dressed in yellow, the shameful colour of moral degradation, and a few Hail Marys. Prisoners were encouraged to doodle and write on the walls. All the pictures on the walls of Palazzo Steri are in a gingery brown colour which made researcher initially think they were painted in blood, but chemical analysis shows it was a pigment that came from outside the cells and must have been given to the prisoners. In some places there are also touches of black charcoal. the pictures are almost all of a religious, strongly Catholic, theme. They were crammed into each cell so tightly they sometimes had no space to lie down. There were often no toilet facilities at all. There was only one window, a tiny square of light too high on the wall which was opened by the guards for just one hour a day to lef in a thin shaft of light. Women were thrown in with men as an additional test of their morality. Palazzo Steri has recently been opened up to researchers and to the public. The guides are all history PhD students so you get a tour better than any normal guided tour, and they have new information to share every month. The way this picture of the mouth of hell is painted suggests it was done by a Jew. Many jews left or died during the Inquisition but a lot had lived in Sicily for so many generations they could not imagine living anywhere else, and instead they converted to Catholicism. Many people tracing their ancestry in Sicily nowadays are finding they have some Jews in their family. So, how did the Spanish impose their will to this day on the Sicilians? I think the positive aspect of this is that Sicilians have a very coherent moral code to teach their young people. When you have only one religion and only one set of moral rules, coming from everyone in the community, it is easier to teach children to follow them. Modern Sicily has much lower rates of teenage pregnancies, drunken youths and general loutishness than England and many other parts of Europe. And yet, in his novel The Leopard, Tomasi described the Sicilians as having a ‘terrifying insularity of mind.’ The Spanish made them afraid to embrace anything from outside, anything they did not know already. The Inquisition terrified the Sicilians into conformity. It made them afraid not only of what was foreign, but of what was new. They were even afraid of the future. They mined their sulphur using the same methods as the ancient Romans. They ran their farms like ancient Roman latifundia, leaving landless peasants to eke out a living from nothing. They didn’t take any notice of the industrial revolution sweeping Europe. I think modern Spain avoided ending up the same because she built a worldwide empire. By definition, it is impossible to be an empire builder if you have a “terrifying insularity of mind.’ You go out and conquer foreigners of all types and, no matter how hard you try to resist, eventually you are influenced by them and learn from them. For the Sicilians, on the other hand, foreigners have always been people who come in and invade you. You grit your teeth, and quietly hate them. You have been trained to follow very strict rules, and they are breaking them, even with the weird food they eat and the language they speak. You practise subverting their authority and messing up their ways of ruling you in any way you can. You stick together and, if your neighbour gets arrested, you tell them nothing. Omertà, it’s called – the code of silence. This creates a culture in which the Mafia can flourish. It creates a society where breaking the rules makes you a hero. It creates a society where talented and inspired people who don’t want to conform usually leave. Sicilians are very generous, kind and polite to foreigners, and especially those in need like the African ones arriving nowadays, whom many people rush to help. Yet helping people in need is not the same as welcoming them into your society. It’s not enough to change society. Many, Many Sicilians are trying to move on to a better future. But they have over four centuries of culture to overthrow first. I am just not sure how you go about doing this. How do you think Sicily can change? 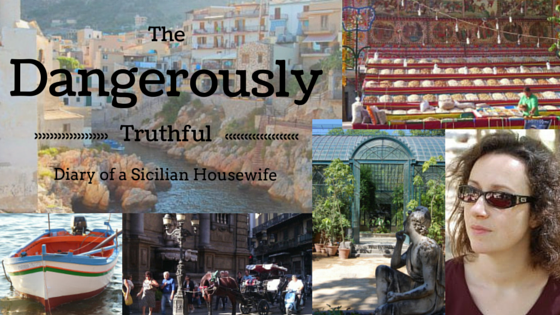 THIS ARTICLE IS PART OF MY NEW FREE ONLINE DANGEROUSLY TRUTHFUL TRAVEL GUIDE FULL OF THINGS TO DO IN SICILY. EXPLORE THE MENU ON THE LEFT FOR MORE IDEAS FOR YOUR HOLIDAYS! I’ve gone and written a really long post that people get tired of reading, haven’t I? Never mind, I liked it myself…. My husband wanted and did come to America because as he would say it “the mentality of the Sicilians was not for him” He didn’t like the narrow mindedness of the Sicilians and he lived in the city of Palermo which is somewhat cosmopolitan. He was a very outgoing person and felt he was held back from what he wanted in life. He was a real gentleman who loved to live in New York with the new found freedom. He had a magnificent voice and sang Italian songs where ever they asked him. We travelled extensively to many parts of the world (except Asia) but he never wanted to return to Sicily. We did however, one year before he died (after 43 years) and he said he wanted to go back because Sicily was so beautiful. He would have the answer to your question. I meet so many Sicilians living here who tell me they hate the mentality of the Sicilians – they don’t mean all of it of course, they mean this limited and backward-looking way of thinking that stops progress. Yet somehow, for all the people who want things to change, there has not yet been someone who knew how to make it happen. Being someone bringing up a child in a fireign country I have realised how much of a nation’s culture is created by the teachers in primary school. I think if Sicily is going to change, that is probably where something new needs to come along. A good part of this history is new to me and I appreciate the chance to read it, but I’ve always read about the Moors in Spain as–in the context of the time–tolerant. Christians and Jews were free to live and practice their own religions, although they were taxed in ways the Muslims weren’t. But compared to the rest of Europe at the time? This was an open society. So your picture of it throws me. It could be both are true. Being conquered, even by open-minded conquerors, isn’t an experience that breeds goodwill. Well I had always read that too, and indeed blogged about it rather a lot. Yet then I read some more academic/university oriented history books and it seems the liberalism was basically “liberal by the standards of that time” which, compared to what we consider liberal nowadays, was far from liberal! I also think, more importantly, that nobody EVER appreciates being conquered by a foreign nation. No nation wants anything other than self determination. Anything other than TOTAL freedom will be regarded as oppression. If you ask any Indian how grateful they are to the British for all the railways and roads and beautiful buildings we built in India – I am certain they would much rather have been left alone to do it themselves. Ask the native Americans how excited and happy they are about Manifest Destiny. Ask the Africans if they think France and Britain were wonderful for “civilising” them…… and so on. There’s never been a case of benign conquest. Also, there has never been a conquest regarded as benign by the conquered. Ask the Native Americans what they think of manifest destiny, Ask the Indians if they love all those railways and roads and palaces we British built them. Ask the Africans if they think we British and French are great for opening so many gold and mineral mines around their continent. And so on. Anything other than self-determination feels utterly oppressive to the conquered. Basically it said that I used to think what you did, but then read more academic books and realised they were liberal by the standards of the day – which basically means not particularly liberal at all! It’s true the Muslim conquest reconnected Spain with the eastern Mediterranean, which was the equivalent of the developed world in those days, but I think people underrate the Visigothic kingdom. Visigothic Spain was making real social progress, moving towards the Magna Carta-like charters of rights that only emerged 500 years later in the unconquered parts of Christendom. It’s a pity that development was cut off. Apart from convivencia, the Muslim political regime was purely despotic and left unfortunate legacies. are you german? coz if so i am afraid each reads another history.The Spanish hated the visigoths bcoz they were uninvolved and indiferent for the local culture.On top they loved being part of the roman empire and admired the civilised romans-spoke the same language and held roman titles . where did you read that? a simple google or wiki search sais another story.How could it b more liberal than anywhere else in Europe when the rest wasnt even conqured yet.i specifically remember a story with a mountain of cut heads.Spain LOVED the Romans -they were conquerors too.Hated the germanic tribe that followed and so did not defend the country from the muslims .Then hoped they would have. Thanks for the reblog! And I LOVE your website, I think the content is great and the whole concept is really inspired! Interesting and reminding me of the classic little scene- No One Expects the Spanish Inquisition. Ha ha! They can make anything funny! What I learned, too, is that the Spanish cut off all the woods for building ships as they did in Spain. They governed by a viceroy who did almost nothing. No step forward, no step backward, for centuries. Ok, they built the baroque cities! Sicilians need to germanize (but at the moment it rather looks that Germans do sicilianize). Sicilians have good reasons for this: The best times of Sicily had Normans and Germans as rulers. Oh, I am particulary interested to learn about the Spanish taking all the wood, which makes perfect sense as they needed so much of it. The Ancient Romans carried out a lot of the deforestation of Europe and so I had been blaming them for the removal of the Sicilian forests!!! Here, you are not wrong. Because the woods had grown again! This makes hope for the future: Re-forestation is possible! Ha ha! Silly me!!! I hadn’t even thought about woods growing back again!!! I percieve this as nurture and culture, not nature and genetics, but they see it as an intrinsic part of their make-up, and not as something that could be changed. This is what lots of people in Western Sicily say, where the Arabic/African influence was intense. In Eastern Sicily the Greeks were more influential and Sicilians say the mentality is different – you certainly see it in the level of organisation and other things. if they say “we are arabs inside”It seems that they have this opinion abt themselves and my question is why ?My friend told me many arabs mooved there in the past.but in their majority they are not of arab ancestry ,or are they? My other question is this> i ve noticed english ppl think the Moors were tolerant in Spain ,they brought enlightenment(science,philosophy,universities) to uncivilised Europe,english language has many arab words,.. I wonder where does this info come from? Fascinating piece, and well written too. Many thanks for this enjoyable read. However, reflecting Sicily itself, there are contradictions. The Spaniards superimposed – or rather reinforced – themselves on a society which, since at least the suppression of the great humanists – the Greeks – by Rome was already evolving in the direction the Spaniards took it. The latifundia, for example, laid the foundations for the exploitation of the land and people, together with the development of systems of arbitrary “private justice” outside official channels. As the article states, it was a place overwhelmed by foreign influences ranging from the Greeks to the Moors. 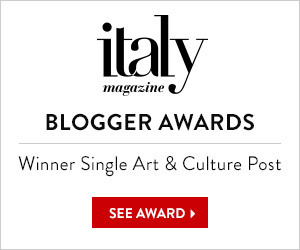 Sicilians “terrified … into conformity”? Respect for laws and authority more generally is certainly not a Sicilian marker. Quite the opposite. As the article says, “[y]ou practise subverting their authority and messing up their ways of ruling you in any way you can” and “breaking the rules makes you a hero”. But perhaps by “conformity” tradition is really meant. Yet Sicilian tradition itself has different branches reflecting the confluence of conflicting influences attracted by the strategically important position of the island, which made it the most conquered island on earth. Or perhaps conservatism is intended. Yes, after thousands of years of witnessing the bloodshed of others, it was worked out that “Cu e’ orbu, surdu e taci, campa cent’anni in paci” (if you don’t see, hear or talk you will live 100 years in peace). Notice the paradox: along with Greece and parts of Spain, Sicily has the lowest incomes in Europe, but the highest life expectancies. The focus is on satisfying the senses, and you don’t need to fight or even be rich to do that. But you do need to live. In fact, material wealth gives the dangerously self-destructive illusion you can buy the things that matter when you really cannot: youth and time above all, with beauty, which in the Sicilian perspective is rooted in youth, too. Perhaps Sicilians fear death more than others, but I suppose it’s only because there has been so much of it in its history. But I dare say that deep down all of us fear death, the end, just that we don’t think about it. Insularity? Even today it is a gateway for migration and the movement of anything else you can – and cannot – imagine. My parents, who migrated to Australia, are from – the admittedly distinct – eastern part, Messina, founded by the Greeks who called it Zankle. At this place, on the edge of tectonic plates where Homer situated Charybdis and Scylla, the Black Death entered Europe, the Jesuits established their first school of learning and the victorious fleet left for the Battle of Lepanto. I’m also not so sure too about what is said about foreigners. In fact Sicilians today are a product of all the “foreigners” that have come there. Indeed, even today someone from Catania is considered a “foreigner” in Messina, while someone from Palermo is like someone from the other side of the world. Sometimes to help is also to welcome. Perhaps the problem is that Sicily – and more specifically its birth rate – has actually changed and its dramatic reduction is a reflection of changed values. But this is also a broader problem in Italy and indeed western Europe. Thank you again for the illuminating piece.